The Crown & Bridge application is the foundation of the prosthetic-driven workflow within DWOS™. Its extensive features and capabilities are able to meet the most demanding situations. The easy-to-use advanced editing features are designed to save users time. The familiar dental tool references used across the whole software platform ensure that users are comfortable with the application. DWOS™ global editing tools facilitate the design by allowing to switch between editing tools on any given prosthesis. 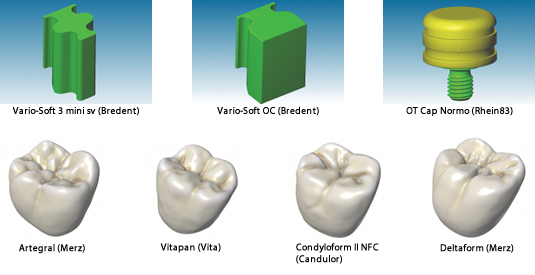 Full contour crowns and bridges can easily be created with the DWOS™ C&B Wizard. It guides the user through the entire process, from scan, design to generation of the production files. 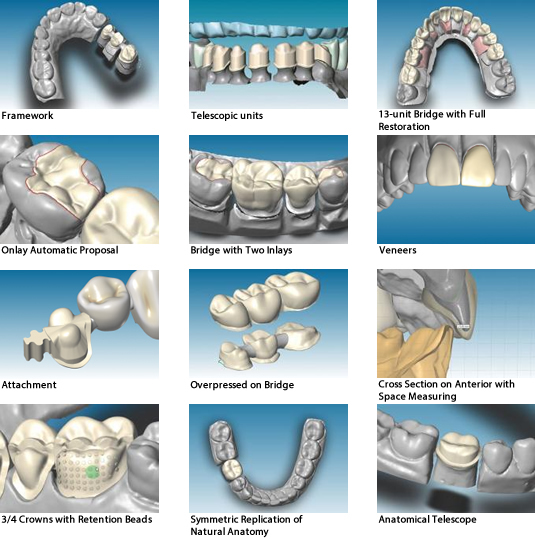 Technicians with minimum training can generate production-ready crowns and bridges with ease. A design session within dwos can be enhanced with our virtual articulator. The precise occlusion simulation significantly reduces the time required for chairside occlusion adjustments, facilitating the overall in-mouth seating procedure. Our virtual articulator improves the dental prosthesis design by adding kinematic analysis to the static design process. It highlights the occlusion contact zones and automatically proposes the required prosthesis design modifications.